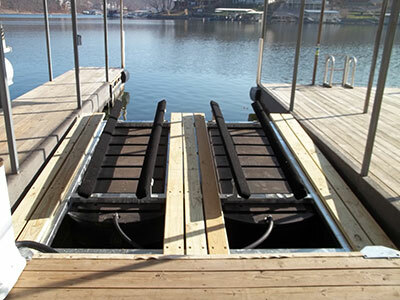 The same features that make our front mount boat lifts popular go into our PWC lifts. 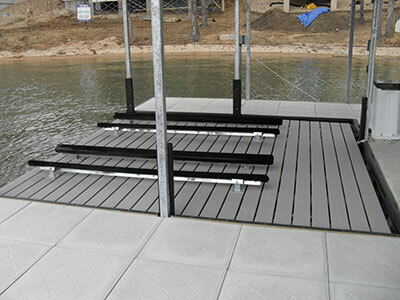 Heavy-wall structural steel frames are hot-dipped galvanized, poly tanks, clamp-style dock brackets and UHMW bushings at the hinge points make this an outstanding value that is built to last. 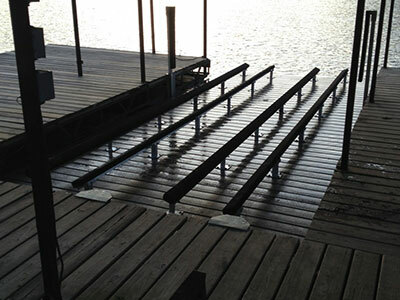 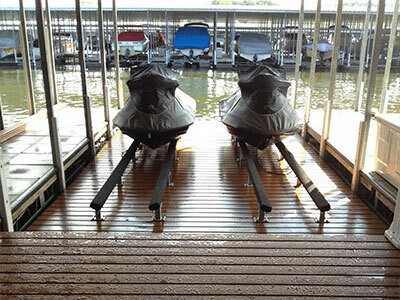 We offer single PWC lifts as well as double and quad PWC deck lifts to fit your slip. 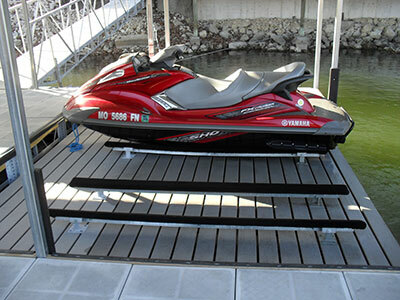 The best value PWC lift available for your buck.